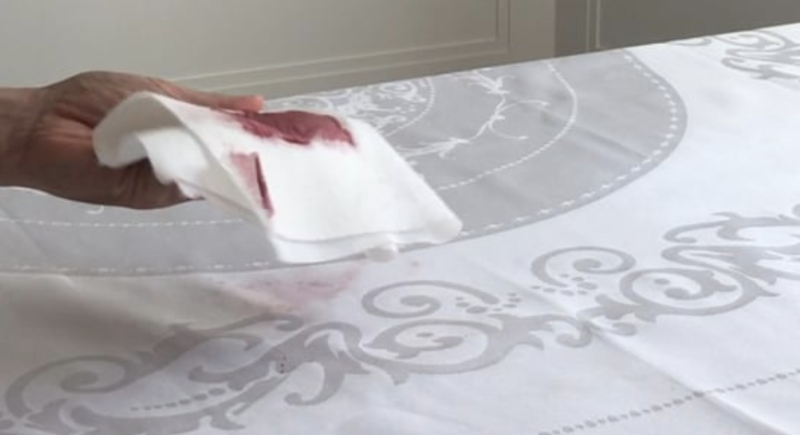 [Videos] Do Garnier-Thiebaut Green Sweet Tablecloths Really Repel Stains? Previously we’d told you about Garnier-Theibaut’s Green Sweet technology: It’s a nanoparticle coated fabric that repels liquids and stains, just like leaves in nature repel water. I tried it out myself with a Green Sweet tablecloth last week. First, I poured a little Orangina — the last of my bottle — on it. Then I just wiped it with a paper towel, and voila it came out! Now you might think, “That’s pretty good!” But it gets better: I put the tablecloth into the washing machine, did a regular cycle on Hot wash/Warm rinse with Tide. Then I tumble dried it for just 7 minutes on high heat, and I couldn’t find either the coffee or the red wine stain. Also, just by flattening the tablecloth out a bit, it looked pretty smooth without ironing. And both stains were gone! So yes, Green Sweet indeed does work. If the liquid or stain is pretty light, it’ll just wipe off like it did for the Orangina. 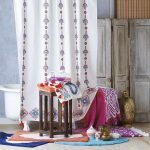 For more concentrated stains like black coffee or red wine, most of it wiped off right away, and the rest washed out pretty easily in my clothes washer. +1 for new technology! 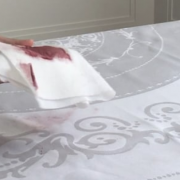 Click here to see Garnier-Thiebaut Green Sweet tablecloths take on ketchup and BBQ sauce. https://www.GraciousStyle.com/wpblogs/wp-content/uploads/2018/02/Screen-Shot-2018-02-26-at-1.20.56-PM.png 494 908 sichen https://www.GraciousStyle.com/blogs/wp-content/uploads/2016/06/logo-550x252.png sichen2018-02-26 14:07:402018-04-18 13:18:13[Videos] Do Garnier-Thiebaut Green Sweet Tablecloths Really Repel Stains?